One of the easiest and most effective ways to enhance the appearance of your smile is to whiten your teeth. Whiter teeth make your smile look healthier and more beautiful. Patients with whiter teeth look and feel more confident. Whiter smiles raise self esteem and make social interactions more comfortable. Our teeth whitening patients smile and laugh more often. Tooth bleaching is a quick and easy way to brighten your life. With our in office whitening treatment, our patients can have dramatically whitened teeth in only an hour. At our office, we use Opalescence Boost whitening. Regular at home whitening treatments can take weeks to whiten teeth. Boost is a unique whitening system that delivers dramatic tooth bleaching results in an hour or less. Boost is easy to apply, completely safe, and very convenient. Our in office whitening is very popular for busy patients who want fast results. You can come into our office in the morning and leave an hour later with a brilliant white smile. Boost gel contains fluoride and potassium nitrate. These ingredients help reduce sensitivity and prevent cavities, as well as whiten teeth. First, Dr. McCormick will use a shade guide to determine your current shade of teeth. He will discuss your smile goals with you and how they can be achieved with Opalescence Boost. During your teeth whitening appointment, your gums and mouth will be protected, leaving only your teeth exposed. When your teeth are dry and ready, Dr. McCormick will apply the special Boost gel to your teeth. Unlike other whitening treatments, Opalescence Boost whitening requires no light or laser. In under an hour, you’ll be able to see the results. Come in and see the brightening effects of Boost whitening gel yourself today. 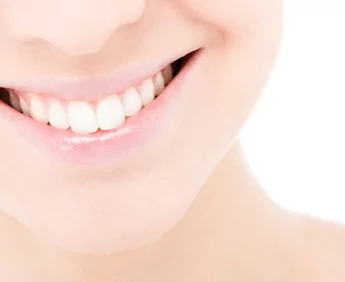 If you have any questions about teeth whitening in the Bozeman – Belgrade MT area, or want to schedule an appointment, you can contact us at our office.